Dr. N. Birrell Smith completed his undergraduate work at San Diego State University, receiving a Bachelor of Science in Chemistry. He received his Medical Doctorate from UCLA. He continued on to 5 years of postgraduate training at the University of Missouri Kansas City; Truman Medical Center. 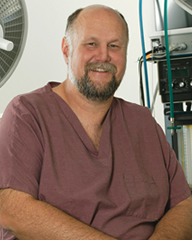 Dr. Smith is Board Certified by the American Academy of Orthopaedic Surgeons, and has been a Fellow since 1991. He has been serving San Luis Obispo County since 1993, and continues taking advanced post-graduate courses and seminars.